The map below (which might take a few seconds to load) shows the actual route that I took, as recorded by my Garmin GPS device. There were a couple of small sections where the device lost the information, but most of it is there. The colours differentiate different days. The above map is interactive and allows you to zoom in, or you may wish to view the map at a larger size. I’ll have to admit I wasn’t the most organised when it came to planning a route. I thought it would be good to visit Germany as I’d never been, and I like France and wanted to practise my French as I’d just done three months of evening classes. I know a couple of people in the South East of Germany and used Google maps directions to get a rough indication of mileage – I figured I could probably manage 50 miles / 80 km per day. So I calculated roughly that a big loop out to Munich and back through France would fit in with my 6-week time allowance. And then I’d review the situation when I got to Munich – i.e. how was I doing for time, did I actually want to continue and so on. Turns out I was doing ok for time, and I did want to continue. Heading to Salzburg and then west through Austria was an option, but I’d already visited there (by car) so thought Germany was a better choice. Bodensee (in the South West) had been recommended to me by a couple of people and I liked not having to worry about routing, so I picked more national cycle paths to take me there. After reaching Bodensee I decided to head North on the German side as 1) I could see more campsites 2) I figured it would be cheaper and 3) I didn’t want to have to start using Swiss Francs. Then I headed to Basel to get to France and found myself on a Eurovelo route, so just decided to follow that West to the Atlantic. Then it was just a case of booking a suitable ferry back to the UK and making my way to the ferry port. Travelling along canals tends to be flat and straight but a bit boring. Travelling alongside rivers is much more scenic but the route can meander with the river. It’s true what they say about cycling in The Netherlands – the infrastructure is set up well. I found in the west especially the streets were filled with cyclists of all ages using their bikes as their main mode of transport. Car drivers were generous and patient with sharing the road. Because I stuck to cycle routes quite a bit, it meant that possibly the majority of the roads I went on were traffic free, and usually shared-use with pedestrians. 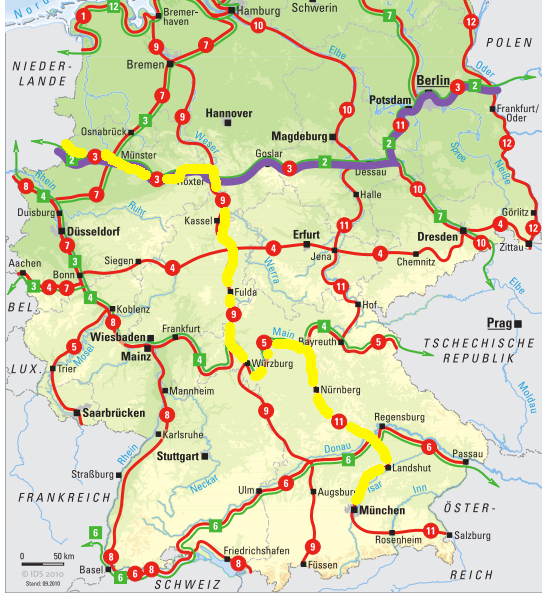 In Germany and France, the terrain covered by the national cycle routes varied a lot, from smooth tarmac to rough gravel paths. Signposting for the national cycle paths was good everywhere, but exceptional in Germany, where it was very difficult to go wrong. In France sometimes the signposting was slightly ambiguous as to which way to go. The Brompton coped admirably with pretty much everything. The only bad surface it wasn’t good at (and I imagine the same is true for most bikes) is cobblestones, especially where there is no grout between the stones. My Garmin has built in routing so you can pick a destination and get it to guide you there. I found this to be very unreliable, with the route it picks sometimes being horrendously long-winded or taking me unnecessarily over very big hills. There are various options to switch on and off, I tried a few different things, but found nothing satisfactory. Google maps provides better routing, but this requires internet connectivity, and the phone isn’t as suited to being used on the bike – not waterproof, more sensitive to drops, fussier to operate, and loses charge more quickly.